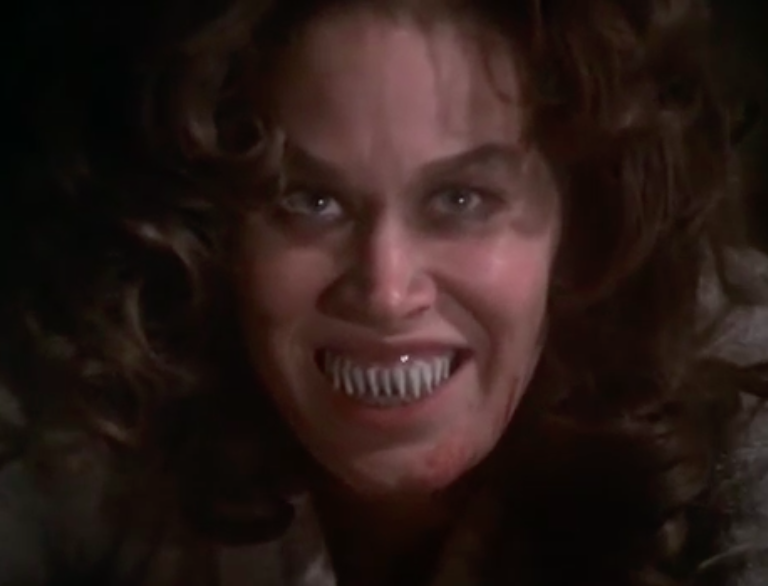 First aired as the ABC Movie of the Week in 1975, Trilogy of Terror is an anthology of short horror stories starring Karen Black of B-Movie horror fame. All three stories push the envelope of what was considered ‘proper’ 1970s television. The first, “Julie” features a student whose infatuation with his teacher goes to questionable extremes. Turns out (p.s. I’m going to spoil these for you, so skip to the video if you want to watch unspoiled) she was controlling him all along….and then murders him. The second, “Millicent and Therese” features two sisters at polar opposites to each other; Millicent the straight-laced brunette and Therese a blonde-haired wild child. After some mild antagonism, Millicent decides that Therese needs to be killed. She succeeds. SPOILER; they are the same woman. Spooky! 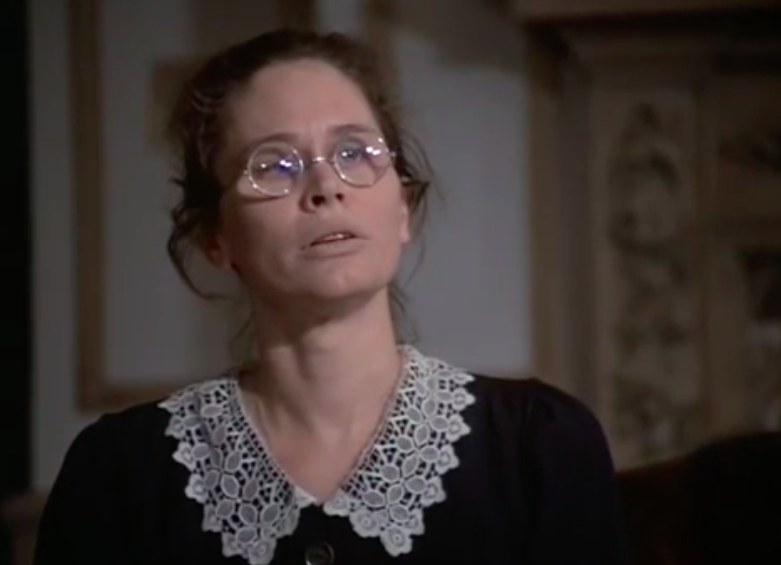 The third story, “Amelia”, is probably the most memorable of the lot. 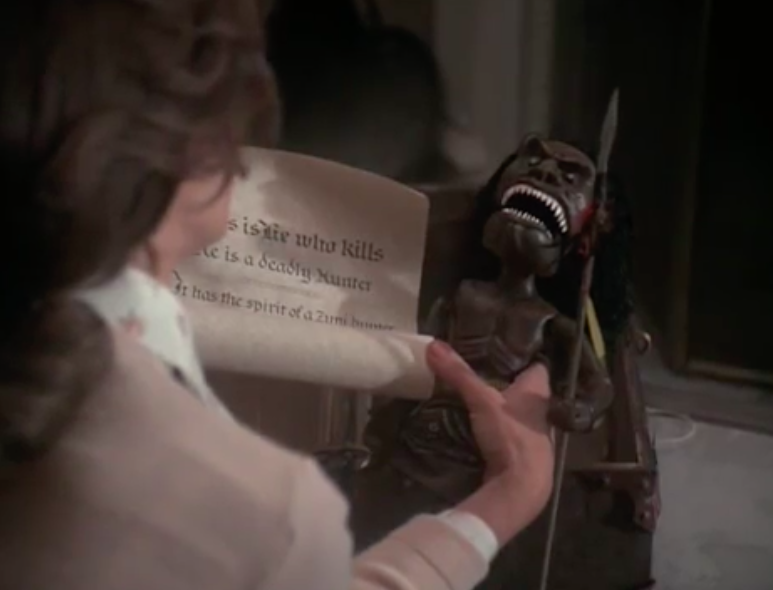 It’s your basic creepy-doll-is-actually-alive story, but it goes a little bit further in the gore department than you’d probably expect for a show in the ’70s. Just a little bit, though. Here’s the whole batch together – it’s definitely worth a watch. Again it’s pretty tame by modern day standards, but there are probably a few moments that will make you more uncomfortable than you were expecting. 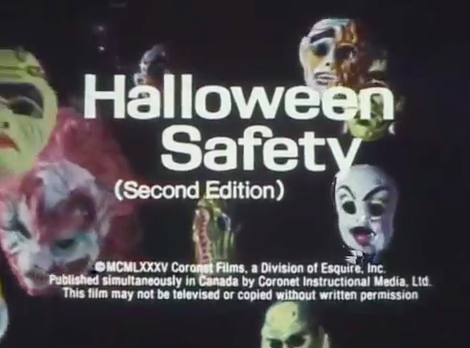 This overlong PSA from 1985 helps kids make good choices on Halloween, from pumpkin carving to costume selection to safe behavior in the dark. Also it’s hosted by a gentle, animated Jack-O-Lantern. The costumes, color, and “action” sequences are fantastic. And, of couse, it wouldn’t be an ’80s Halloween PSA without some good old scares about candy that’s been tampered with by injecting medicines and razor blades. Here’s the PSA. 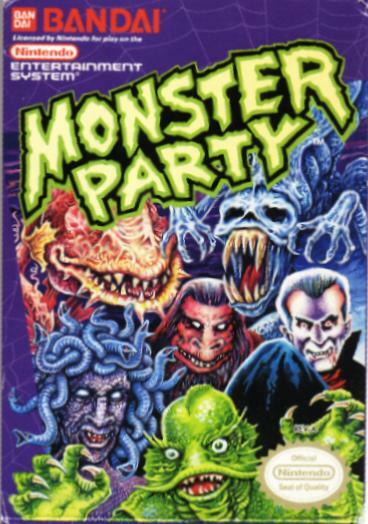 This 1989 Bandai game for the NES features a “batter” named Mark who’s been enlisted by a Gargoyle named Bert to travel to his land and defeat every well-known monster in the universe. Bert fuses himself to Mark to give him supernatural abilities on top of his amazing “batting” skills. Ridiculousness aside, that’s a pretty awesome premise. Bonus points for the cat boss that throws kittens as weapons. Enjoy this playthrough. McDonalds had an idea in the 1980s where you’d buy a book of certificates for free ice cream and other treats and give THOSE out instead of candy. It was a medium decent idea. Then they added a confusing layer about a voucher for a Roger Rabbit doll when you bought the VHS of Who Framed Roger Rabbit and it got too complicated. That guy in the Roger Rabbit costume looks pretty depressed. 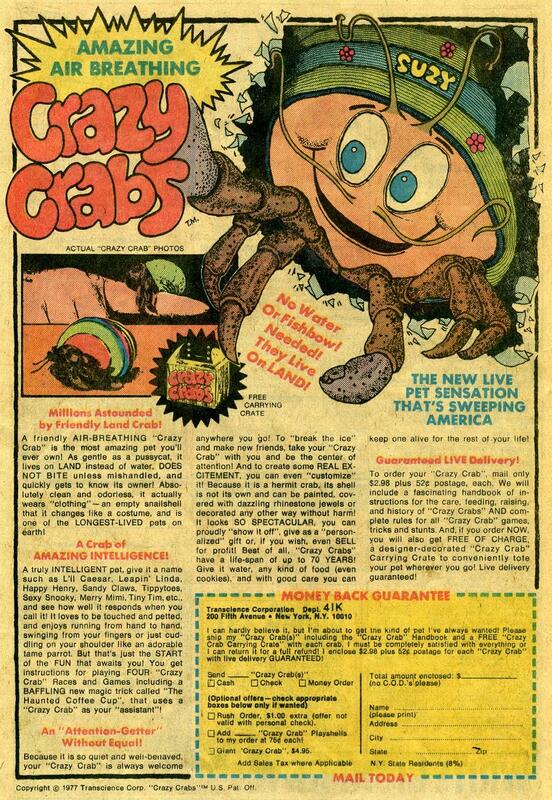 Nothing to do with Halloween, but those crabs are crazy!